Casio’s latest standard scientific calculator features new Natural Textbook Display and improved math functionality. 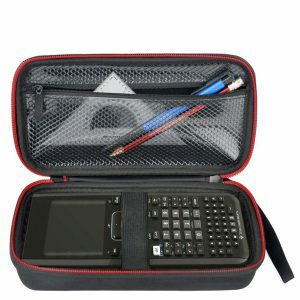 Casio FX-300ES PLUS calculator has been designed as the perfect choice for middle school through high school students learning General Math, Trigonometry, Statistics, Algebra I and II, Pre-Algebra, Geometry, Physics. Casio’s powerful and versatile FX-300ES Plus large screen and patented Natural Display is a perfect choice for middle through high school students in Mathematics and Physics! 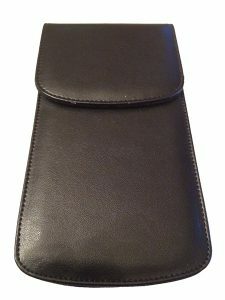 It’s solar-plus-battery provides long life and dependability in addition to being packed with over 200 features and calculations, it’s approved for use on SAT, AP, PSAT/NMSQT, and ACT exams. The Casio FX-300ES Plus calculator is permitted for use on the PSAT/NMSQT, SAT and ACT college entrance exams, AP tests, and NCEES exams. Offers a large, multi-line display that allows for important multi-replay functionality. Casio FX-300ES PLUS calculator is intuitive and easy to use as you progress through your coursework. 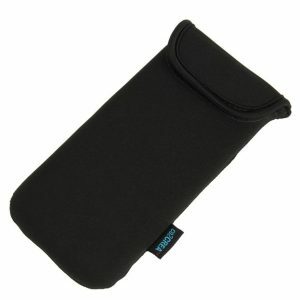 It has two-way power, "Solar Plus with Battery Back-up", so you're always ready! Canon Scientific Calculator F710 with Mathematics, Trigonometry, and Statistics Functions. Great scientific calculator for my algebra class. The best thing about this calculator is being able to see the problem on the screen displayed the same as it appears in the textbook. Only complaint is that the auto power off happens a little too quickly for my taste. This casio fx-300es plus calculator works well. My only complait is the directions that come wth it. It is difficult to navigate. When I tried to look up a function, I found myself looking throuh the entire pamphlet. Thety should really put this in a booklet form with chapters for the different functions. Other than that, it works well. Good Claculator for the price wish i would have just spent the extra cash to get a new graphing calculator, but i was trying to aviod it. Works way better then the texas instument calculator that was the same price. I'm useing it for College Algabra, Chemestry and my Pharmacy Calculations at work. Super pink, nice not heavy duty but $12 it makes sense. I needed a scientific one for class, a lot of store ones were a lot more money and I wanted a nice colored one. It's does what I need it to do. This calculator works great! It is easy to put in complicated calculations which otherwise would be hard to solve. It has a place where you can plug in the equation and it will give you the points for the graph. I use this calculator for my calculus class, and it makes so much easier. It will give the answer in a fraction or decimal for ease of service. The buttons are easy to find and use. The only thing I'm not sure about is how to save numbers into the calculator, or even if it does that. Hopefully it does like my old one does, because that would be brilliant. Overall, casio FX-300ES plus calculator is amazing!!! I have had this calculator since my freshman year in college and used it more than my graphing calculators! 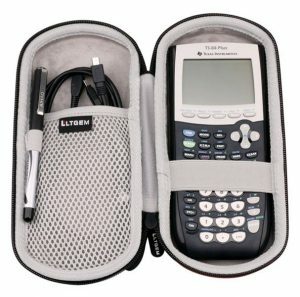 There are some years I don't even use my graphing calculator at all because this one is so well designed, easy to use and has many more useful functions for every day math. Don't get me wrong. It's not good for a statistics class, but how often do you use standard deviation and Z scores in everyday use anyway? The only issue is that after so many years owning and using it, its numbers have started to wear off. But that's okay. 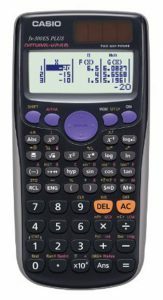 Casio FX-300ES Plus Scientific Calculator. this is very good calculator I like it very much. because the color keys and the bigger key display that help the read on the calculator display. And the key button it is easy to put in. I am sure I will recommend this to a friend or people I know. Compare from other calculator I had before this is the best Many calculator the key button will flat off in a few days or not working correctly have to put several time to make it working. If you are not sure just get once and try it to see you like it or not. My son needed a calculator for 7th grade Science and Math classes. 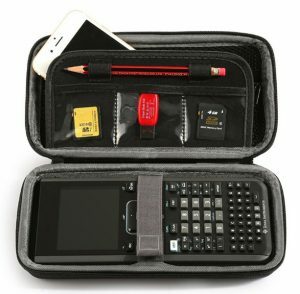 His school supply list suggested a Texas Instruments version, which is 3x the price, but this Casio FX-300ES works just fine. One suggestion I would make to the company though is to improve on the instructions. They are pretty difficult to follow, at least for folks who are not accustomed to using these types of complex calculators. We are still trying to figure out some of the functions, but I do think this will suite him fine for this year. The color was exactly like what is pictured. The key pushed easily enough without being so loose you could accidentally push the wrong button. The screen is clear and easy to read. It work identically to most other scientific calculator so I didn't have to learn a new instrument. It traveled well and even held up to a couple drops. The calculator came on time and in perfect condition! It also came with a bonus calculator! I would give it a six star rating if I could. Scientific calculator. My son has used this calculator since high school and swears by it. When his broke he would only buy the same one. Now that he is on college it is still the only calculator he will use.